We&apos;ve had some fun here with "Then and Now" photos of Chicago. Sometimes the changes in a site have been striking. 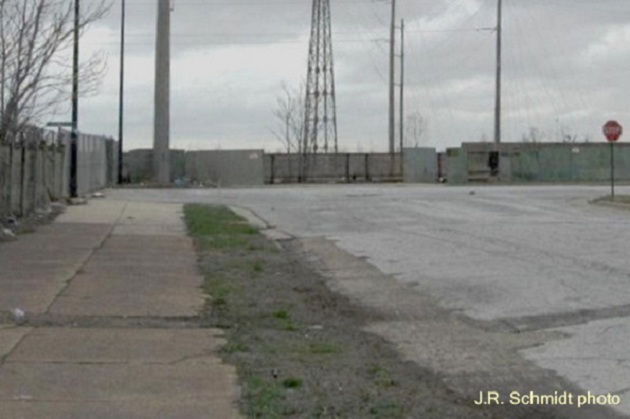 For today, let&apos;s look at a South Chicago location that looks dramatically different from its appearance a half-century ago. The older photo shows 89th Street and Avenue O when the U.S. Steel South Works was still going strong. 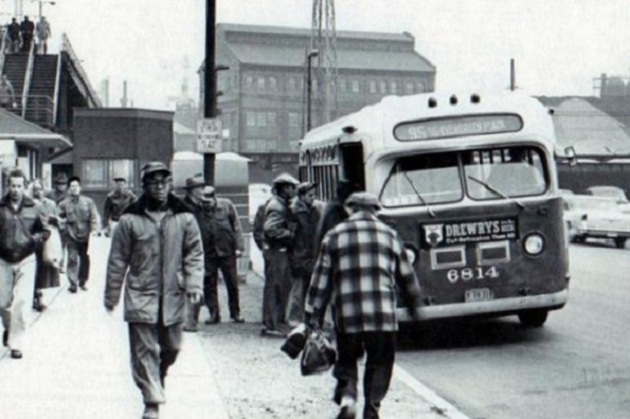 In 1956 this was the east terminal of the 95th Street bus line. By the way, the destination sign on the bus says it&apos;s headed for Evergreen Plaza--new then, but closed now. In 2013 the only visible remnant of the plant is that one metal utility pole. But redevelopment is on the way, and I plan to come back in a few years to take another picture.